A Cabbagetown gem, the House on Parliament boasts a better-than-your-average-pub-grub menu 7 days a week. It’s no surprise then that their Brunch Menu would be the same. I had an early meeting scheduled to discuss and plan for a friend’s wedding so we thought, ‘why the heck not?’ and decided to make it a brunch meeting instead. 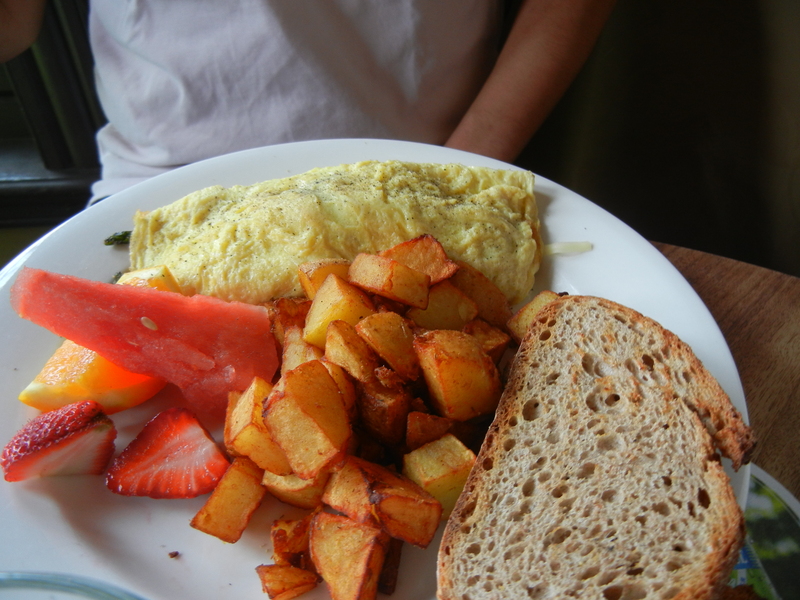 House has been a Cabbagetown staple for 15 years. Walking in you get the “new” vibe and it’s no surprise: It’s been only about a year since they moved just one door south. The new space is open and cozy at the same time. It feels more like you’re walking into a friend’s home than a pub. It has quite a bit of seating, a nice bar area, and a great front patio for a warm spring or summer day. 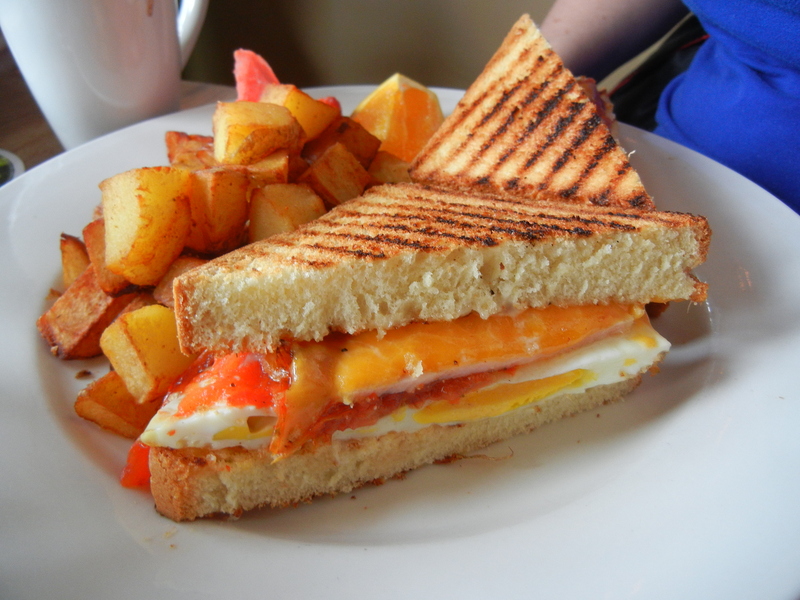 This monster is a take on the Grill Cheese except with fried egg, oven roasted tomato and garlic aioli. Win. House adds crispy bacon and tomato chutney to the Eggs Benedict formula. Coco*a especially enjoyed the house salad that came with her order: mixed greens and pepitas and their amazing house vinaigrette. Asparagus and Cheesy Goodness – Loh definitely enjoyed his plate. 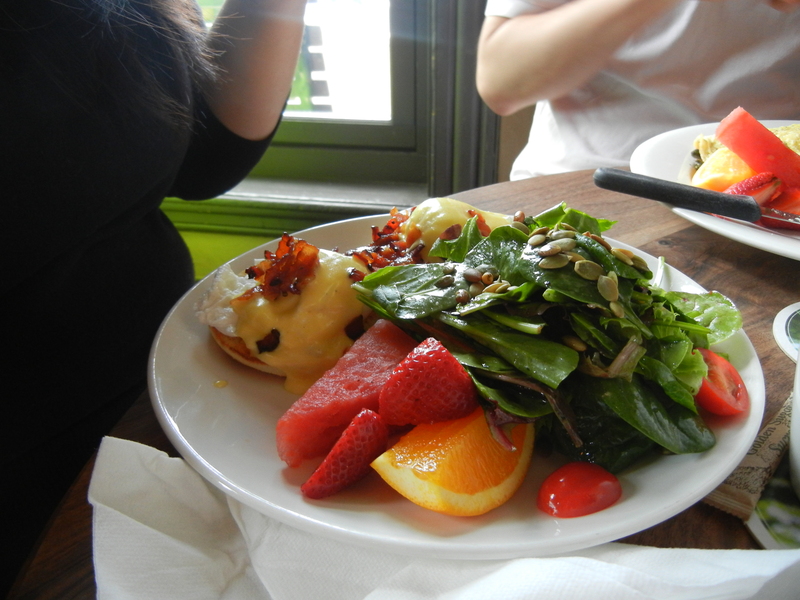 Perfectly poached eggs, peameal bacon (yes! ), sausage (best.ever. 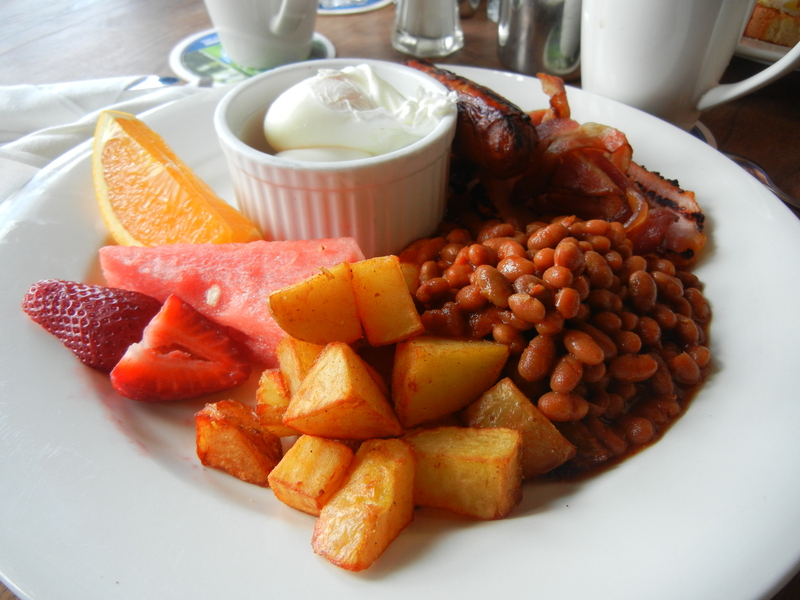 ), more bacon (no, seriously), baked beans and home fries. No, I didn’t finish everything on my plate! With friendly staff, a great space and a nice brunch selection the House On Parliament is definitely a good option if you’re in the mood for something spectacular. This was also a Random Dinner Night stop a few moons ago so rest assured, their dinner, lunch and anytime menus are just as great as brunch. Oh, and if you have hankering for a roast the way your mom used to make, stop by any Sunday for the Sunday Roast Dinner.